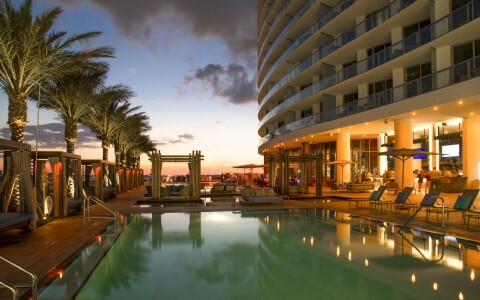 Hyde Resort & Residences in Hollywood, Florida is home to one of the area's most sought-after destinations for dining and entertainment, Terrazas. 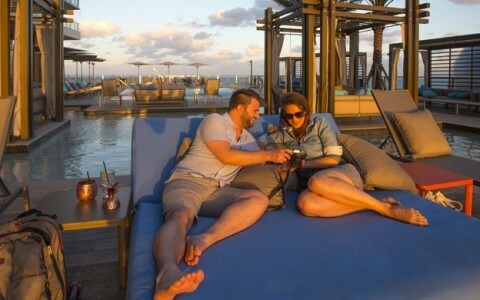 This “see and be seen” dining hotspot, with its own unique view of Hollywood Beach and the sparkling Atlantic Ocean, offers diners seasonal menus full of local flavors and delicacies, including South Florida's best citrus and seafood. In addition, the restaurant's team of skilled mixologists tempt guests with a long list of crafty and creative cocktails sure to please any palate. 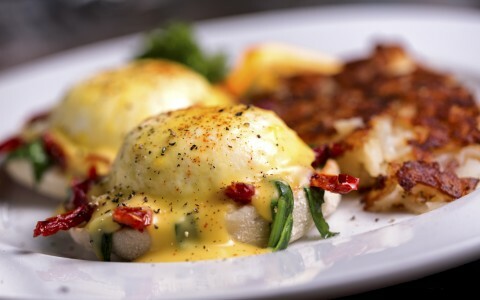 Serving Breakfast, Lunch, Dinner & Happy Hour! Terrazas is a fresh, new dining concept by Alejandro Ferllen. 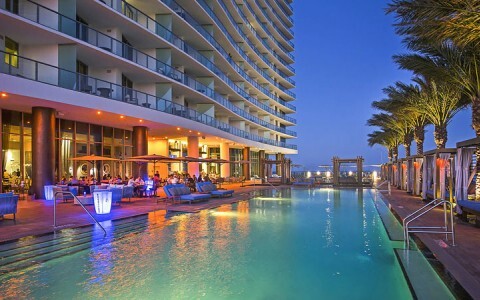 By combining the most spectacular waterfront views, through an impressive mixed-use resort space, and its worldly kitchen menu and cocktail bars.The toast: think globally, laugh locally. 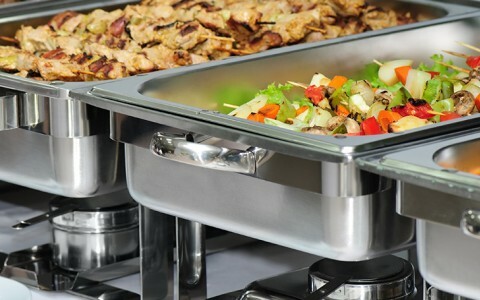 Whether popping over for lunch or dinner, Terrazas is sure to accommodate you and all its patrons with the finest of offerings. Sunday poolside brunches will provide live music and are expected to draw an influential scene. 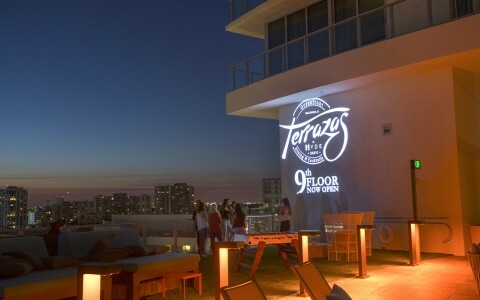 To round out the clock elegantly and kick weekends off early, sensible thrill-seekers can “taste the sunset” at Terrazas Sunset Happy Hour — breathtaking ocean views and competitive prices on top-shelf bottles of rose and champagne are likely to put patrons in a fine mood. 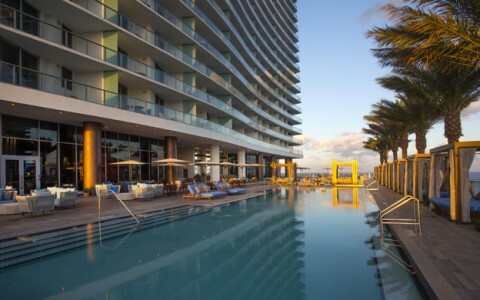 Located just a few steps away from Terrazas, ETARU Hallandale features delicious contemporary Japanese Robatayaki cuisine in a waterfront setting. Steps away from the sand, the restaurant seamlessly evolves from beach club to restaurant to bar, with the central robata grill at its beating heart. 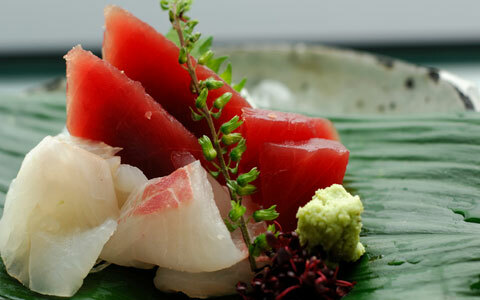 Fashioned after the popular and critically praised restaurant brand, ROKA London, ETARU introduces Japanese grilled Robatayaki cuisine to the Hallandale area using the best and freshest ingredients available. 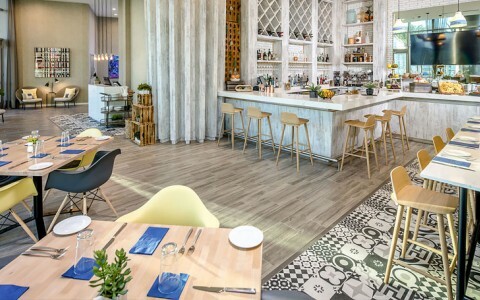 ETARU is a vibrant new addition to the South Florida dining scene; a place where our guests and local visitors can enjoy simply cooked but sophisticated and tasty food in a warm, fun and inviting environment. Need a night off from the high-energy vibe that swirls around us? Say no more. Our dedicated in-room dining team stands ready to please with a selection of Terrazas' most imaginative dishes, delivered right to your door. 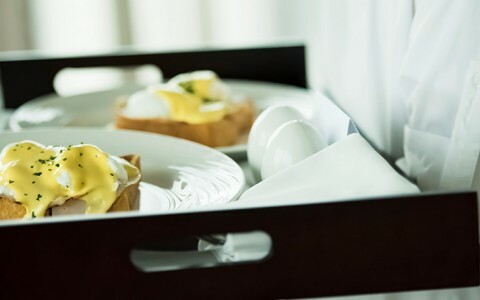 Whether breakfast, lunch, or dinner, you’ll enjoy flavorful cuisine showcasing Florida’s freshest ingredients without ever having to leave your suite.